FIU was recently selected to host three foreign language instructors as part of the Fulbright Foreign Language Teaching Assistant (FTLA) Program. Marcella Iole de Costa representing Brazil, Elmira Nazmieva from Russia and Amit Ranjan from India, are three of more than 400 educators from 50 countries who have traveled to the United States this academic year to help give an international perspective to colleges and universities. Iole de Costa, Nazmieva and Ranjan, who arrived in the fall semester, are teaching at FIU through the end of the academic year. Recipients of Fulbright FLTA grants are selected based on academic and professional achievement as well as leadership potential. 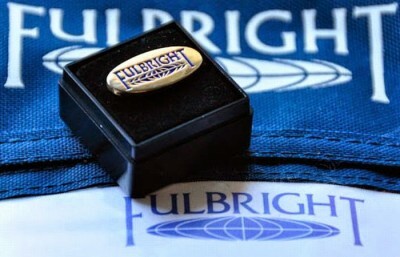 The Fulbright FLTA scholarships are awarded by the J. William Fulbright Foreign Scholarship Board and funded by an annual appropriation made by the U.S. Congress to the U.S. Department of State. Iole de Costa has partnered with the Brazilian Culture Club to host movies and several events for students. Nazmieva hosts a Russian round-table conversation every Friday and showcases a Russian movie every month. Every Wednesday, Ranjan screens an Indian movie followed by open audience discussions for students and faculty. All activities are designed to encourage students to learn about different cultures and languages identified as critical by the U.S. Department of State. Becel hopes the FLTA scholars inspire more students to pursue the study of critical languages and help them realize that acquiring a foreign language opens up a whole new dimension of cultural understanding and opportunities. Critical languages are non-Western European languages considered critical to national security including Arabic, Chinese, Hindi, Indonesian, Korean, Russian and Turkish.